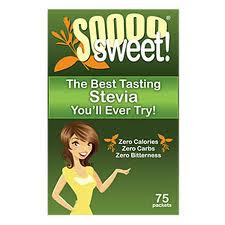 of Soooo Sweet Natural Stevia Sweetener! Want to try Phenom Coconut Water for free? Take a peek at this promotion! Just go to the Phenom site and comment on one of their blog articles. If approved, you will receive a printable coupon for a FREE full size sample. Available at any GNC Store. Expires May 15, 2011. The lucky winner of the Spiedie Survival Kit is . . . .
You have 48 hours to respond to your email or we will have to choose another winner.